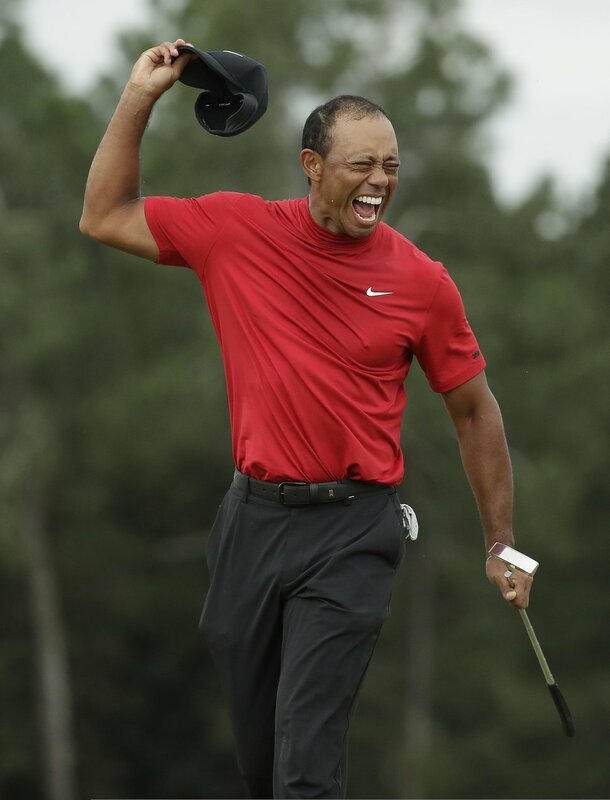 Augusta, Ga. • As if Tom Brady’s epic Super Bowl win in February wasn’t impressive enough from an aging icon, Tiger Woods gave the sports world an unforgettable moment Sunday to cap off an unlikely comeback in winning his fifteenth major championship Sunday at The Masters, and his first major title since the 2008 U.S. Open. The 43-year-old superstar, during that Open at Torrey Pines, shared the moment with his then-wife Elin Nordegren and infant daughter Sam. So how poignant the images were Sunday as he lovingly grabbed his family in separate bear hugs, reminiscent of his embrace with his father Earl Woods in nearly the very spot after his first major win in the 1997 Masters. Utah’s Tony Finau played in the final group with Woods and gave himself a realistic opportunity to win the green jacket much of the day, but ultimately fell two shots short posting an even par 72 that was good for a fifth place tie. Finau opened the front nine with an even-par 36, five shots higher than Saturday’s sizzling 30. Yet many of the players through nine were stuck in neutral, including Woods who turned in 1-under 35, only one shot ahead of Finau. But Finau’s realistic chances of winning took a sharp turn south on the the par 3 12th. The seemingly unflappable tournament leader at that moment, Francesco Molinari found the water with his tee shot, Woods cautiously put his in the middle of the green, then Finau found the water short and right with his crucial tee shot. 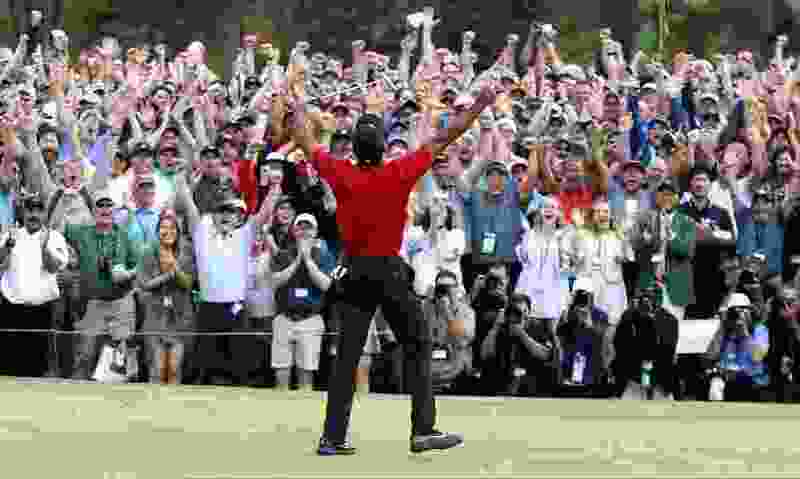 And the image of the veteran of twenty-two Masters, Tiger Woods, walking over the famous Hogan Bridge as Finau and Molinari went to the drop area right of the bridge was telling. 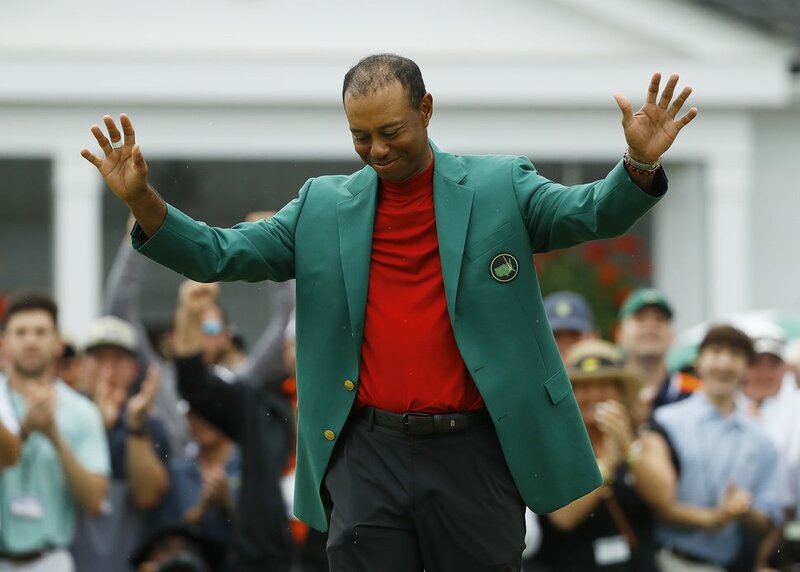 It wasn’t as if Woods won this Masters with long, epic eagle putts down the stretch, the seasoned veteran did so with a workman-like 2-under 70. Finau fought back with a birdie on the very next hole and got within three shots with two to play, and ended up tying his career-best finish in a major. Though Finau said Sunday was “not the ending I wanted,” he still found some silver lining in defeat.